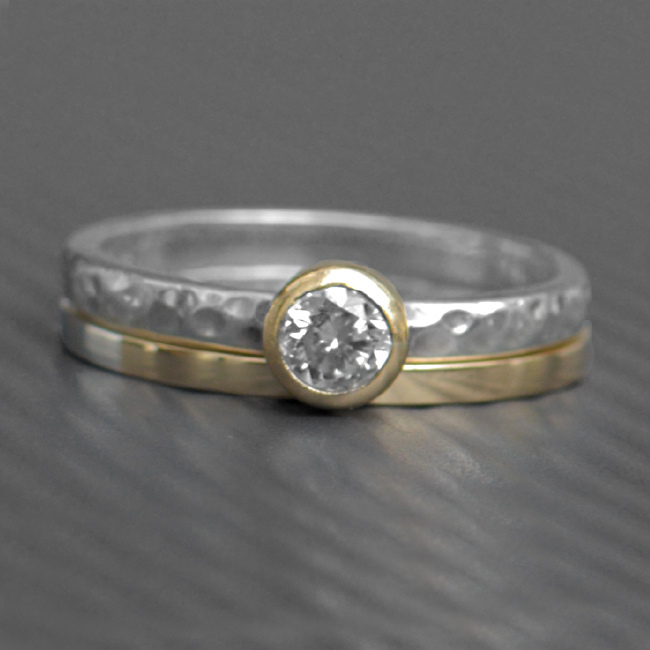 This stunning wedding ring is handmade using sterling silver and 9ct gold. 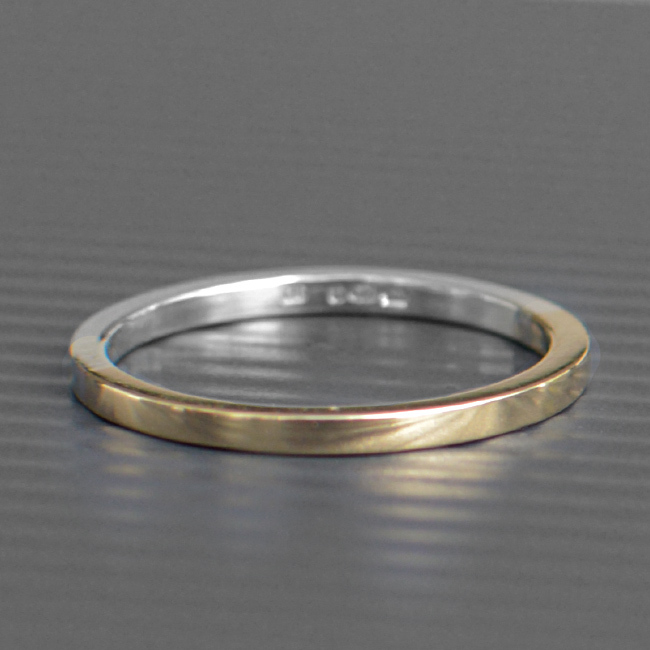 A two colour wedding band of sterling silver and 9ct solid gold seamlessly joined together in one ring. This ring looks great alone, stacked or next to an engagement ring. See thumbnail to view how it looks next to the Diamond/Gold Ring. The band has been delicately finished with a highly polished look. 1.5mm band width. SKU: N/A. Availability: In stock Size: 45 × 60 cm Shipping Weight: 0.3 kg Categories: All Jewellery, Rings, Mens Jewellery, Commissions, Ring, For Woman, For Men, Wedding, Wedding Jewellery, Wedding Rings. Tags: bespoke, bespoke silver, bi-colour ring, commission, engagement ring, gold, gold and silver ring, handmade, handmade silver, jewellery designer, jewellery maker., organic, ring, two tone ring, wedding band, wedding ring. This stunning gold and silver ring ring is handmade using sterling silver and 9ct gold. 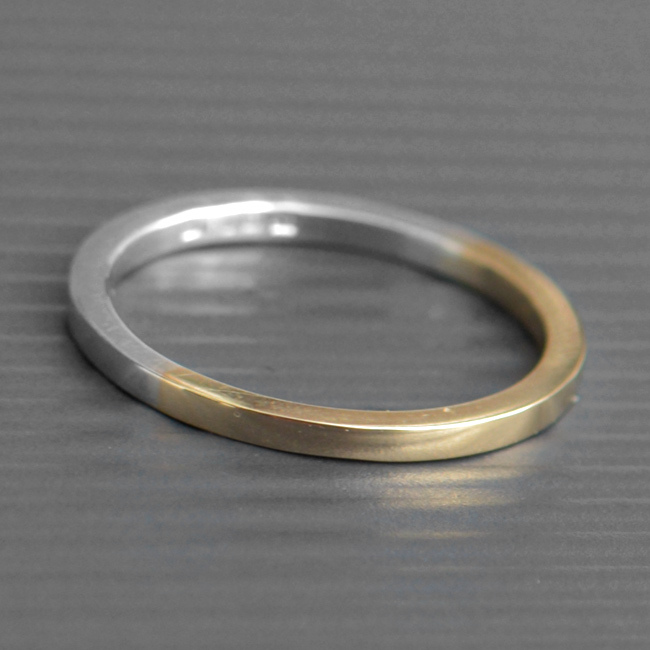 A two colour wedding band of sterling silver and 9ct solid gold seamlessly joined together in one ring. This ring looks great alone, stacked or next to an engagement ring. See thumbnail to view how it looks next to the Diamond/Gold Ring. Materials: 925 sterling silver and 9ct gold.